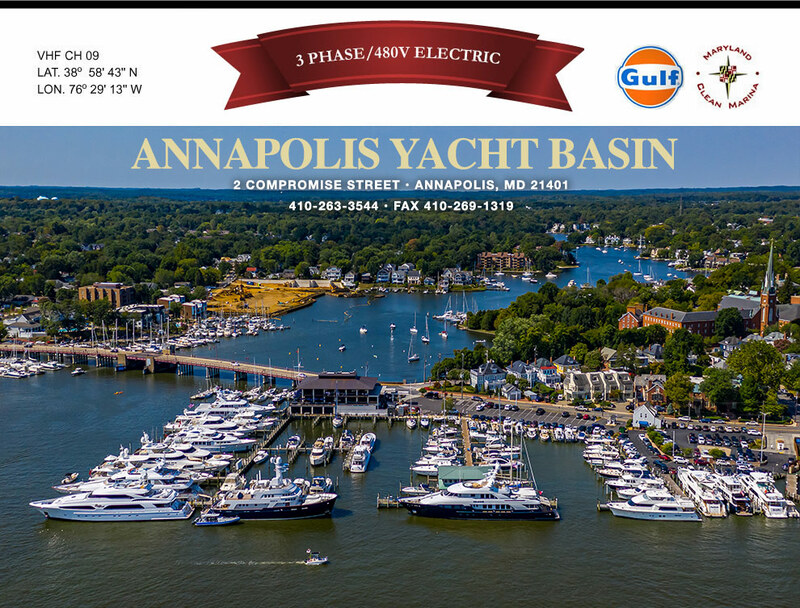 Established in 1937, The Yacht Basin Company is the oldest privately owned marina in Annapolis. 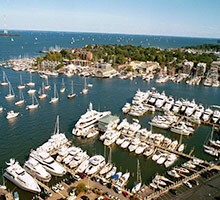 Located in the heart of Maryland's state capitol, the Yacht Basin offers a large, modern facility. Clean, bright bath houses, on site laundry room, along with complimentary WiFi & cable TV are just a few of the conveniences awaiting our guests. Our accommodations include about 100 fixed slips and three deep water face docks that routinely welcome vessels up to 240 feet. Five high speed pumps deliver branded GULF fuels year 'round with volume discounts. 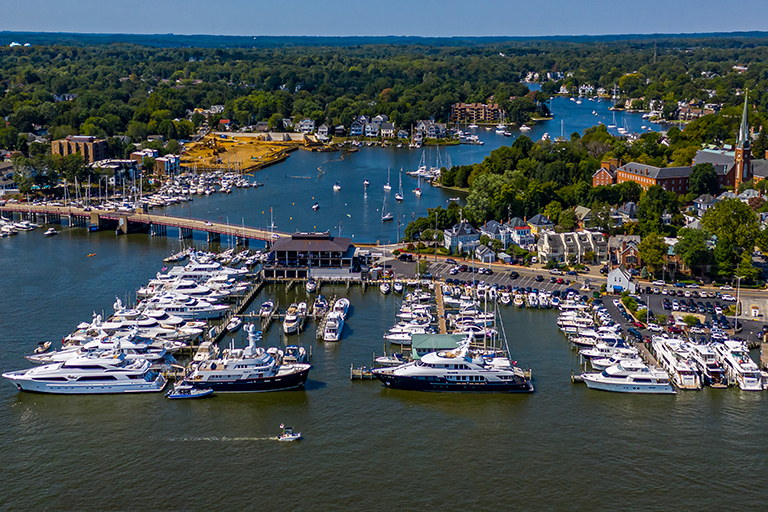 We are a certified Maryland Clean Marina, exceeding “best practice” standards for fuel dispensing & waste pump out stations. It’s true! 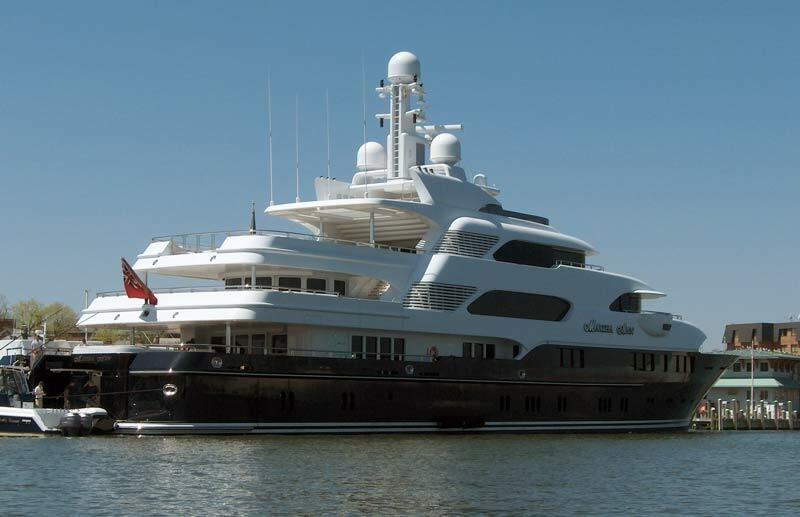 With easy navigation from the Chesapeake Bay, transient business is brisk at "The Basin". Daily, weekly and monthly dockage should be reserved in advance. Annual slip holder inquires via marina office 410-263-3544. You’ll have a front row seat for seasonal events such as; USNA commissioning week featuring The Blue Angels, 4th of July fireworks and December’s parade of lights. 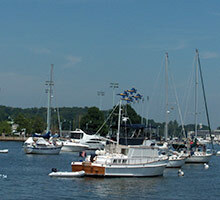 Historic downtown is just steps past the Annapolis Waterfront Hotel on the marina's north side. All around are 18th century homes on narrow streets with a wide variety of shops, pubs, eating establishments and night time entertainment. The Maryland State House is the oldest U.S. state capitol in continuous legislative use, dating to 1772. 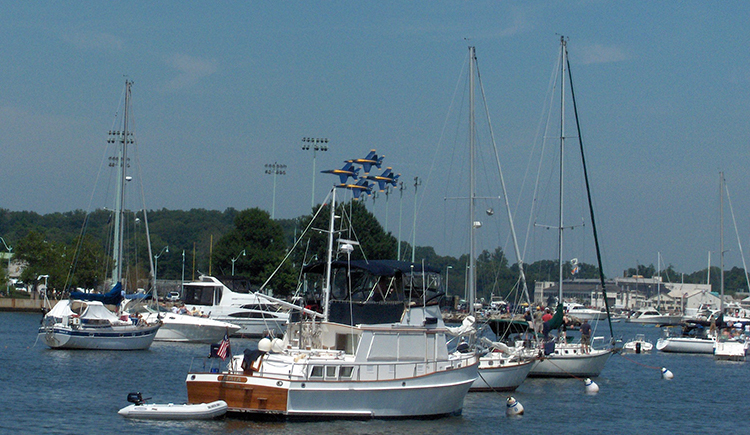 Home to The United States Naval Academy, Annapolis offers visitors a unique glimpse into the over 170 year old institution. Daily tours of the academy along with numerous colonial exhibits of public and private buildings are available. A casual stroll south over the Spa Creek drawbridge leads to the Maritime Republic of Eastport... a sailor's paradise. Kayak & Stand Up Paddle boarding (SUP) rentals & tours can be found in Eastport too! NO “APPS” HERE! We’re “old school” when it comes to reservations. We like to speak with our guests directly! 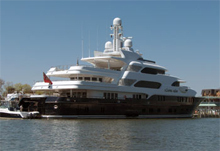 The Yacht Basin's experienced management and friendly dock hands are happy to provide dockage information & answer any questions, so please call 410-263-3544.